Carl Paladino may have been removed from the Buffalo School Board by Education Commissioner MaryEllen Elia, but that does not mean he is giving up. His lawyers say they are appealing the removal and continuing a Civil Rights lawsuit against the school board. "We're very disappointed in this decision, for a variety of reasons, not the least of which is the fact that we don't believe that this decision is consistent with the evidence that we introduced over a five day hearing in this case," said Paladino lawyer Dennis Vacco. Vacco said a challenge to the removal will be filed almost immediately, an Article 78 proceeding in State Supreme Court. Vacco said the law allows four months, but he said it will not take nearly that long. 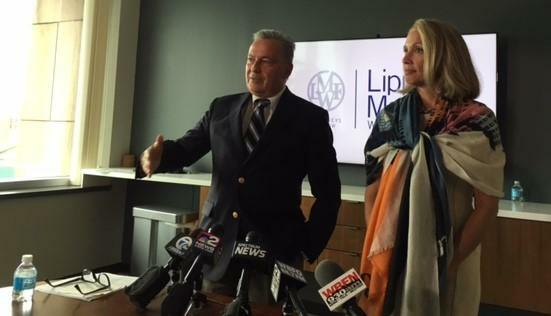 Carl Paladino attorneys Dennis Vacco (l) and Jennifer Persico (r) announce they will appeal the state's decision to remove Paladino from the Buffalo School Board. 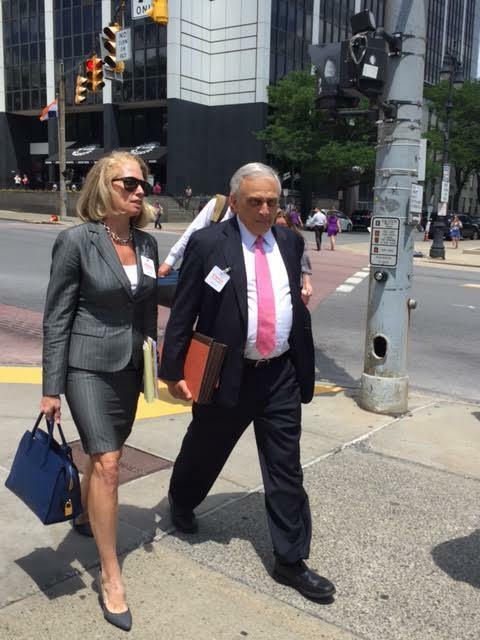 The other case argues some members of the School Board violated Paladino's constitutional rights by trying to punish him for his attacks on Barack and Michelle Obama. "Board Member Belton Cottman uttered the phrase, 'Well, if we can't get him for that, we'll get him for this.' And the "that" she was referring to was they couldn't get him on his speech, because they had been informed by their lawyer that they could not bring the case of removal based upon his speech, Vacco said. Vacco said Elia's decision does nothing about School Board dysfunction that was there before his client was elected to the Board. In fact, he said, removing Paladino means the dysfunction will get worse. He said his client was justified in releasing the information from closed-door meetings about the Buffalo Teachers Federation union contract and its financial impact, because it was released after the contract had been approved by the Board. Paladino has said the teachers contract cost so much money, there was not anything left to settle other contracts, like the administrators contract which remains unsettled. 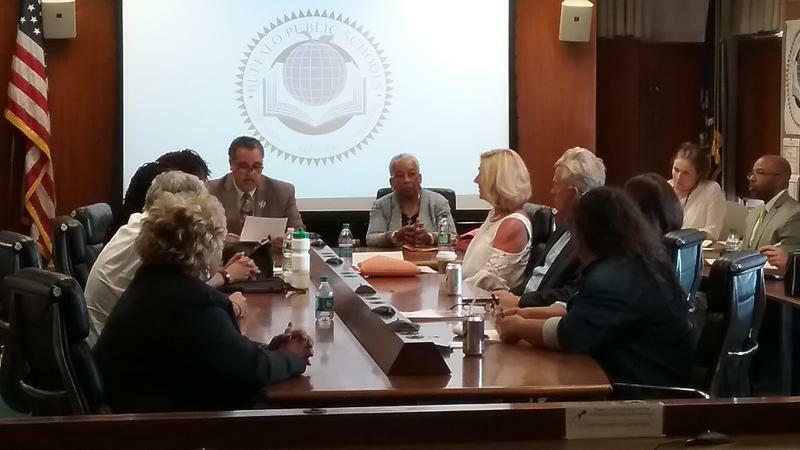 A bargaining session on that contract was held Thursday in the Board room right after a news conference with Board President Barbara Seals Nevergold about Paladino's removal. "They're not afraid to conduct secret meetings. They're not afraid to violate their own Code of Conduct," Vacco said. "They're not afraid to enter into budget-busting contracts with the teachers union, to the detriment of other bargaining units because they spent the reserve money to satisfy the teachers. There is not enough money left in the pot to negotiate with other collective bargaining agreements. So, yeah, I think they're dysfunctional." The president of the Buffalo School Board is pleased the State Education Commissioner ruling to remove Carl Paladino from his Park District School Board seat. WBFO's senior reporter Eileen Buckley says Barbara Seals Nevergold told reporters Paladino is to be removed immediately. 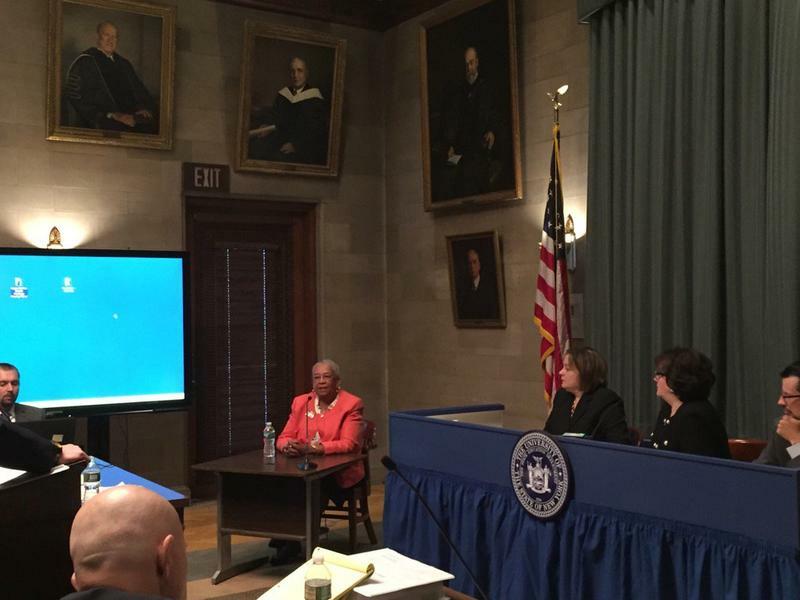 WBFO's senior reporter Eileen Buckley has reaction from the Buffalo School Board on the removal of Paladino. 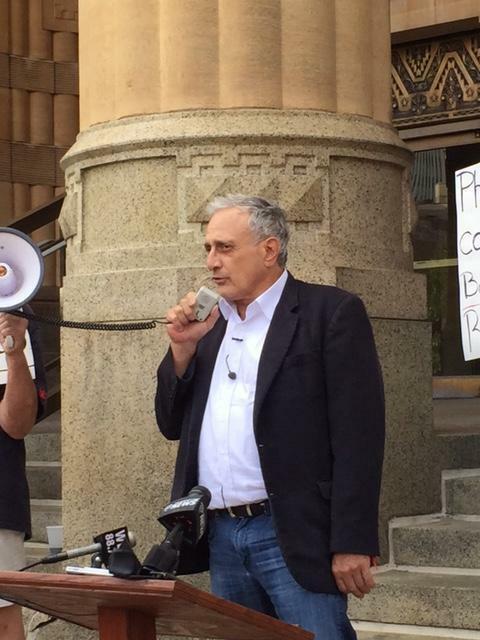 The Buffalo School Board moved again Wednesday for the removal of Park Board Member Carl Paladino. The Board approved the hiring of Syracuse-area lawyer Frank Miller to handle the application to the New York State Education Commissioner.